Orders of service for funerals need to be designed and produced to exceptional standards. 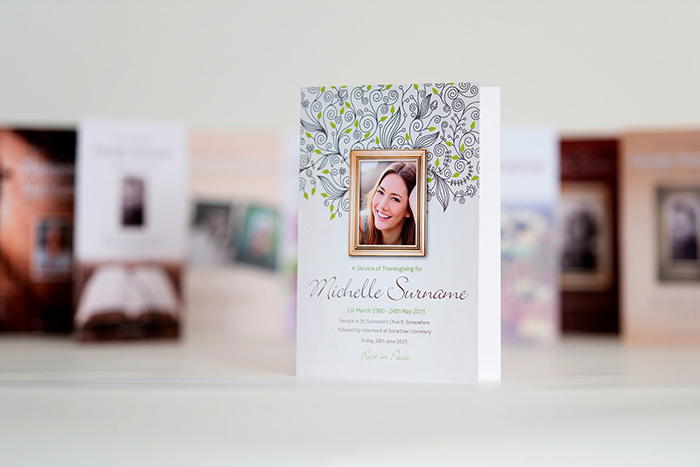 Clitheroe Funeral Service uses an award-winning design team to put together your funeral cards to ensure they exceed your expectations at this difficult time. As well as serving a practical purpose during the funeral service, our orders of service provide a beautiful memento to treasure for years to come. We will help you create a unique order of service tailored to your specifications. Hymns, readings, photos and poems are often included to reflect the personality of your loved one.